We've had quite a few comments and a little confusion on our charging system. In the past we've had prices for different sized boxes and even different contents, for example catalogues packed straight from your printer. So for clarity and simplicity we are changing this for Frankfurt 2011. We will charge by the kilo for each box we collect from you, regardless of size or contents, making it easier for you to know exactly what you're paying. It's as simple as that. Nothing else has changed, we stick firmly by our no minimum charge policy and our claim that we're the last people out of London to a European book fair. Your boxes will be weighed, you'll get a confirmation email shortly after collection. If you would like us to weigh your boxes when we collect them, just ask, we're very happy to do that. Nice and simple, fair for all, we hope you like it. Posted on September 18, 2013 by Daniel Esparraguera and tagged Last minute delivery to Frankfurt Book Fair Last minute delivery to Bologna Book Fair #BBF11 #LBF11 #BBF12 What does it weigh. Posted on September 18, 2013 by Daniel Esparraguera and tagged Late Van to Frankfurt Book Fair Last minute delivery to Frankfurt Book Fair Really last minute delivery to Frankfurt Book Fair. When it comes to Frankfurt Book Fair we all work in dispatch. We regularly talk to people who are their companies last form of dispatch. It doesn't seem to matter that they are working in rights, production, sales, marketing or are even on the board, when it comes to Frankfurt Book Fair and those last minute, worked on over the weekend presentation materials, you work in the dispatch department. Aside from wondering what carrying that extra load from the office to home, into the cab (you get a cab to the airport don't you? ), to check in, through security, along the walkway, into the plane and finally like an Olympic weightlifter pressing that load above your head into the luggage locker does to your energy levels; we've not even going to mention getting from Frankfurt am Main to the hall before the biggest trade fair of the publishing year. But it does make you the heroine for those few short moments before people unpack and paw over that dummy while you hope that the pain in your shoulder or lower back will ease up. Most important of all though you did it and it didn't cost your company a extra penny, after all you used the baggage allowance on your ticket, even if that did mean you left things like extra shoes behind, after all who needs shoes, not men anyway. If you know you're the last member of the dispatch team to leave the office before Frankfurt Book Fair it might just pay to check the new, that's right new, checked and hand luggage allowances that many airlines are now operating, seems as though they have worked out what we've all been doing for years. In tough economic times it seems that established airlines like British Airways, Lufthansa and the younger ones like BMI and Ryanair want to maximise your spend with them. Even the old perceived benefits of booking business or first class to get a larger allowance seems to be changing and you might find your last minute material attracting excess charges and or being loaded in to the hold. Who wants their last minute dummmy's in the hold after all airlines never lose luggage do they? Posted on September 18, 2013 by Daniel Esparraguera and tagged Late Van to Frankfurt Book Fair Last minute delivery to Frankfurt Book Fair Frankfurt Book Fair. It’s great that your team hits the nail on the head with the jackets but how do you cope with getting the graphics printed when you’re working like mad to get the jackets and dummies made? Major marketplace gatherings like Frankfurt Book Fair only come round once a year and that can mean a new title has to be pushed to market. With any push deadlines get squeezed, time, patience and money often end up being in short supply. When it comes to graphics I go back to the days when a computer was something you saw in a sci-fi movie and quick turnaround was a week. Anything shorter was going to get expensive unless you had a regular supply of work and a good relationship with a graphics house. Even then it was touch and go if you were short of time. It was simply about the amount of days it took a person or a team of people to create what you wanted in what was a labour intensive industry and how large your budget was. These days we work to much tighter time frames, digital technology means that the market place expects a faster turnaround. All our worlds are much more last minute dot com based with people working in marketing and sales needing to be able to adjust a campaign to support a drive towards an emerging trend or a new product that has a small window to hit. Large format graphics on a stand or in a retail environment catch the eye and focus the attention like nothing else. When you marketplace is a major event like Frankfurt it might just make the difference between a buyer st opping and saying hello or heading off somewhere else. Talk and be completely honest about how much time you don’t have. That way you can get an honest answer that you can rely on. Origination. It’s a simply rule quality in = quality out. Whether experienced or a novice it’s always good to ask what works and what doesn’t. Use once or make them last. This can affect the time needed to complete you graphics so it’s always good to know. Time slippage. If you deadline moves it’s always good to know before you origination arrives. It might sound like simple advice but you’d be amazed how many people when they are pushed to the point of panic f orget to talk about the simple things! Frank Baptiste is another of our trusted friends. Frank, who has known Daniel for long that either of them cares to admit, is a director at Colorset UVI a London based large format digital graphic house. You can reach Frank by email or call 020 7234 0300. Posted on September 18, 2013 by Daniel Esparraguera and tagged Bologna Book Fair #BBF11 #LBF11 Graphics for Bologna Book Fair Graphics for Frankfurt Book Fair Graphics for London Book Fair Last minute delivery to Frankfurt Book Fair Last minute delivery to London book Fair Last minute delivery to Bologna Book Fair Late Van to Frankfurt Book Fair. We posted recently asking whether it would make a difference to you if we used some form of tracking software it seems that it would. After some searching and testing we've decided to use Glympse not as a way of telling you when we will be delivering but as a way of comfirming the timing we agreed with you. Glympse works as a way of showing in real time, where we are, what speed we are travelling at and how long before we arrive in the hall. You can access it via email, text message or even through a twitter account. Just ask us to send you a link and we will take care of the rest. All you'll need to do is click on the link and watch us on the map. Whilst we completely trust you the people who will be using this we need to be mindful of our team and their locations and hope you will understand that when it comes to overnight stop locations the links will be switched off, just in case anything untowards happens, after all who would have thought that twitter would get hacked. Posted on September 18, 2013 by Daniel Esparraguera and tagged Last minute delivery to Frankfurt Book Fair #FBF10 Frankfurt Book Fair Tracking your boxes. Tips for a successful exhibition! With mere weeks to go until the Frankfurt Book Fair, now is the time to make the most of the big selling opportunity you have amongst other brands. Who’s going to be more successful on the day? It’s the businesses that consumers emotionally engage with; those that offer a clear, positive perception of what their business stands for. Why should your brand take centre stage? Businesses that don’t have a brand or see the value in having one will fail to retain customer’s long term. The success of their business will rely on them probably being the cheapest in the market. Here’s how we look at it, if you had two identical books, both selling for the same price and one was published by Penguin and the other by an unknown publisher, which one would you purchase? Chances are you’d take the Penguin one every time. Why? Because we all have a positive understanding of what the business stands for. So how can you be more like Penguin and stand out against other businesses in Frankfurt? Neue Media’s years of brand-led design experience allows us to offer you a few choice pieces of advice. Those that have invested in a consistent brand will stand out. Take Penguin, it’s a brand synonymous with classic literature; its brand values are what attract customers, people will engage with them, remember them for what they are and offer not for individual book promotion. When customers visit your exhibit what message/s do you want them to take away? Your messages, both written and visual, should reflect the essence of your brand. Is your exhibition instantly recognisable as yours? If your logo wasn’t visible – would visitors still guess it was you? Make sure everything on your exhibition has a consistent look and feel. An exhibition that looks like it’s been thrown together at the last minute simply communicates confusion and an amateurish approach to business. Remember each touch point of your business from business cards; sales rep emails and displays all represent the business. Make sure you take plenty of business cards with you, running out before the exhibition is over makes you look unprepared. Provide a proper display area for your marketing materials so a)people can collect it easily, b)it’s simple to offer to anyone you’re talking to. Do not forget to add your website, email, phone number to marketing materials and make sure they work. Remember, this is an opportunity to add to your database – have you thought of a way to gather people’s data i.e. phone numbers, emails, areas of interest etc? Don’t cut corners by printing your marketing collateral on the office printer, it will send completely the wrong messages. There are so many things you can do to make your exhibition successful. If you’d like to learn more we’d be happy help. Lena Robinson is Business Development Director of Neue Media, one of our trusted friends and a person who opinions we rate, particularly when it comes to Branding. You can reach Lena through lena@neue-media.co.uk on twitter @Neue_Media or by calling +44 20 7490 2726. Posted on September 18, 2013 by Daniel Esparraguera and tagged #FBF10 Don't forget Frankfurt Book Fair Last minute delivery to Frankfurt Book Fair Late Van to Frankfurt Book Fair. How many Euros will you get for your pound? We've searched around the web for the best rates we can find, after all Frankfurt 09 had a shockingly low exchange. This years is not great by any stretch of the imagination but with a little work you can make the most of what you have to spend. We found a few minutes spent on travelmoneymax.com gave us a list of options and rates. Seems obvious to say this but if you go along and do the exchange yourself you will be offered a better rate than having it delivered. The search interface is simple to use and the results are displayed in order of best rate. We think this site is a money and time saver but if you don't agree feel free to post a comment below. Posted on September 18, 2013 by Daniel Esparraguera and tagged Frankfurt Book Fair Changing money Last minute delivery to Bologna Book Fair Last minute delivery to Frankfurt Book Fair Pound to Euro Book Fair Vans Late Van to Frankfurt Book Fair. London to Frankfurt Cheese stopovers, Brussels. 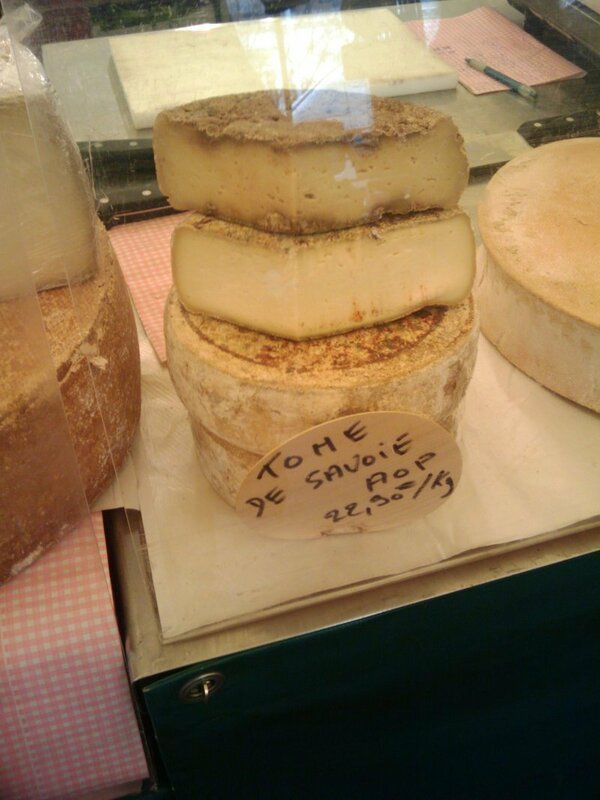 Way back in March I wrote about buying cheese in Reims on the way to Bologna. We had a great trip to and from, it was hard work, but that’s how we like it. My shopping trips in Reims meant that we had plenty of great tasting local cheese on the way down to Bologna from the regular Saturday market and from La Cave aux Fromage on the way home. With a shorter trip to Frankfurt we don’t stop in France at all. Some trips have been straight through to Frankfurt, this year we are planning to stop in Brussels, a lovely city that I’ve visited before but never thought of as a cheese location. A little bit of Google searching tells me that I might have got that wrong. Seems that Belgium produces over 300 distinct types of cheese, that nearly as many as France and when you stop to consider the size of each country that’s quite something. Belgian cheese making is rooted in the Monastery’s, where the beer making tradition also stems from and surprise, surprise Belgian cheese rinds tend to be washed in beer rather than wine. There is even a Fromage de Bruxelles, a soft cheese eaten for breakfast, made locally. Best of all I’ve found a cheese shop called the Crèmerie de Linkebeek, within a short walk from our hotel in Botanique that seems passionate about their cheese. I’ll be heading in for some help, advice and a little taste or three, if you know the Crèmerie de Linkebeek or somebody that does, I’d love to know what you think of it. I’ll be taking pictures and posting as soon as I can after my visit. If, like us, you motor to book fairs, we’d love to hear about your favourite stop over’s. Please post them here in the comments box or email me ruth@bookfairvans.co.uk. Ruth is our resident designer, customer service contact, stop over and hotel picker, lover of cheese and chocolate. She keeps us all fed and watered in as healthy a way possible and has the ability to be understood in almost any language spoken on the face of the planet and others yet to be discovered. Posted on September 15, 2013 by Daniel Esparraguera and tagged #FBF10 cheese cheese shops brussels Reims Vans Last minute delivery to Frankfurt Last minute to Bologna Book Last minute to Bologna Book Fair. The art of burning the candle at both ends and still feeling great. We have all seen athletes immediately before competing; the sprinters staring intently straight down the track where only their lane exists while the rest of the World just melts away, the actor getting herself into her anti-character whilst waiting in the wings and the All Black’s mesmerising Haka, both preparing them while simultaneously affecting the opposition. All are great examples of state management in elite performers, but what use is the technique to us in everyday life? How might it help us get through, say, a 5 night stay at a book fair? I have been on numerous events where my candle has burned at both ends and the morning end is more withered than the evening one but even then we can do things to improve our state, our real state, not just our outward appearance. Here’s a simple exercise to test drive before you arrive in Frankfurt. Stand in front of a mirror and think about the most miserable day of your life. That might sound a little tough but stick with me. Remember it in all its gory glory, see it through your own eyes, hear what you heard and really feel what you felt. As you go inside and notice those feelings, where they are and where they move to, look in the mirror. This state is not called “down” for nothing. Now after a few minutes of doing something else, repeat the exercise but with your most fun, and brilliant memory. Hear the laughter, see the smiling faces and feel the excitement. Notice how you physiology is different – how you are standing taller, your eyes have a twinkle and your face a smile. Good init? That’s not bad, but what is even better is that by adopting the physiology of that happy, excited self, you can actually enter that state. And the really neat thing is you can do it with any state that you have truly experienced – determination, confidence, motivation, anything. How great will it be to be able seal that deal the day after the night before by adopting the physiology of success regardless of what happened before? 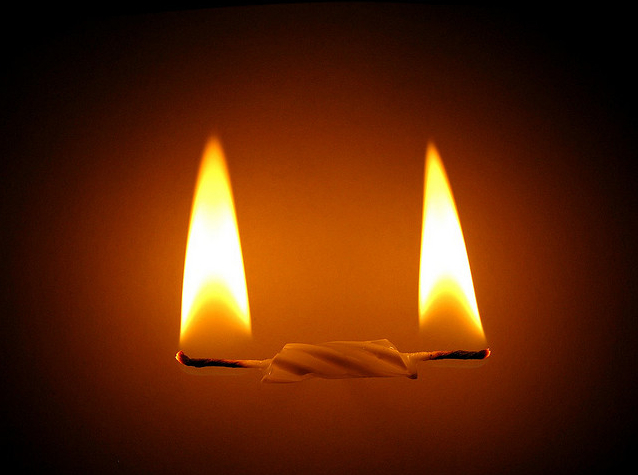 We do have to be careful with this though, because that candle really is melting at both ends. An alternative strategy might be to manage that state at the other end of the day. How often are the real deals done at the dinner parties, or networking in the evening? And just how many of the people doing those deals are the worse for wear? You might like to manage your state so that you look and feel tipsy when all you’ve had is a couple of spritzers or lemonades. Just imagine how good you would feel appearing to be drunk while all those around you really are! You could do the “Dad Dance” and everybody will either forget or just think you were smashed. AND you’ll be just perfect in the morning. Rob Cook is one of our oldest and most trusted friends, a Master Practitioner in Neuro Linguistic Programming and Hypnotherapy and a highly qualified cricket coach. He works with people on issues that affect everyday life and athletes looking to get that extra performance when it counts. You can reach him by emailing rob@cooguera.co.uk or call our office 020 7100 3748 and Daniel will put you in touch with Rob. Posted on September 15, 2013 by Daniel Esparraguera and tagged Frankfurt Book Fair Last minute delivery to Frankfurt Book Fair Burning the Candle at both ends #FBF10 Last minue delivery to Bologna NLP Neuro Linguistic Programming #BBF11. Tracking software: Would it make a difference to you? We're thinking of investing some time and effort to find tracking software that we can use on our runs to Frankfurt and Bologna. We think it might be useful to offer you a way of seeing where we are on our journey to your favourite book fairs. We see this as a way of confirming that we will be arriving when we told you rather than offering an estimate of arrival time like lots of other carriers do because we agree a time with you before we pick up your boxes. But before we head off spending time and money it makes sense to ask you whether you think it would help. Do let us know in the comments box below or pop us an email to tracking@bookfairvans.co.uk. As always we have an open mind about what we do and that goes for feed back as well. Posted on September 14, 2013 by Daniel Esparraguera and tagged Frankfurt Book Fair Book Fair Vans Book Fairs Last minute delivery to Frankfurt Book Fair Tripit. Things that make thebfv's life easier: Tripit. We found this app earlier this year and decided to give it a try out for our run to Bologna Book Fair. Very simply put tripit creates an itinerary for a trip you’re planning and then makes then available on line or on your phone through its app. We created a trip to Bologna with a range of dates and then sent email in to tripit with confirmations for channel crossings and hotels. We also booked in our collections in London and deliveries in the hall which helped greatly with our team of drivers. We didn’t need to print off reams of paper with the worry of that being lost and by using the sharing through the website we all knew where ever one else was during our eight day dash to Bologna. Once your trip is loaded up Tripit doesn’t rely on continued connections so it’s light on those expensive European roaming units although if you change anything you’ll need a connection to update it. We use the free version as we don't need information on flights or collection of loyality card points but if we did I think its fair to say we would grab a version of Tripit Pro. You can have a look around at www.tripit.com we think it’s worth 10 minutes of any traveller’s time. Posted on September 14, 2013 by Daniel Esparraguera. Visitors to our main site might have noticed that we have a "Little Black Book" page which lists some of the really useful people that we've got to know over the years that BFV staffers have been around. We know many of you keep a file or a set of bookmarks just in case. Of course we know a lot more people that we show on our site and some of them might just have something to say that can be useful to you in the run up to a show. It seems to make sense to make space on our blog for some guest posts from our really useful friends over the next month or so. Their topics are going to range and we will let you know in advance who is coming up so you don’t miss out. No one who will guest blog with us is going to claim to be a superstar, expert or the first port of call for the best advice, however they are all people who we now, like and trust, which means that we are more than happy to give them time an space on thebfv blog. Posted on September 14, 2013 by Daniel Esparraguera and tagged #FBF10 Frankfurt Book Fair Little Black Book. On a hot summers day it probably seems odd to be talking about the first week in October but then again we all know how time flies when you’re having fun or even working on a Frankfurt deadline. So it seems to make sense to let you in on our secrets for #FBF10 (yes we do spend too much time on twitter). You’ll probably know us as the people who work at the last minute delivering all you need to your stand, working just with those who exhibit at Book Fairs. This Frankfurt we plan to run a really last minute service leaving central London at 5pm on Monday 4th October arriving at your stand for tea time on Tuesday. It’s prompted by feedback we’ve had after Bologna and when we visited London Book Fair, flight chaos, excess baggage charges, silly prices for airline seats with no baggage limits, sore arms and aching backs seem to be the most common topics of conversation. We’re happy to do the lifting, driving and lugging, whether it is one box of precious dummies or a few stacks of catalogues that arrived a little later than you planned, or you just don’t have the nerve to ask your driving out MD to squeeze a few extra items in the boot and you don’t even want to think about what you’ll leave behind to make room in your suitcase (It was always shoes for me but then I’m a boy). We know from experience that the best laid plans can go astray but we think that you shouldn’t have to carry the can or even the boxes because a deadline moves backwards. Still need convincing, we’re happy to come and see you, you’ll be able to look us in the eye and decide if we are people you like enough to trust with your important last minute material. Please feel free to comment in the box below, as far as we’re concerned all feedback is helpful, whether you think we are barking mad, mildly interesting or you want to know more, we’d like to hear from you. Posted on September 14, 2013 by Daniel Esparraguera and tagged Frankfurt Book Fair Book Fair Vans 4th October #FBF10. We came across this little gem in Ostuni and wondered how we could get it home and use it. Posted on September 1, 2013 by Daniel Esparraguera. We have had some calls from people since posting yesterday asking if people had to book to and from London Book Fair and it seemed worth taking the time to clear this up. Sorry for the confusion we hope this helps. Posted on September 1, 2013 by Daniel Esparraguera and tagged Last minute delivery to London book Fair Collection from London Book Fair LBF10. When someone says to us “I’m now thinking about London in terms of hours of work rather than days” you can be sure that peoples workload for London Book Fair are growing and time is tight, so it seems like a good time to let you all know that book fair vans is running its last minute service for exhibitors again. Whilst this show is in London the conversations we’ve had so far are telling us that people still need help with getting their last minute material to Earls Court and as ever we’re happy to help you by doing the driving, lifting and lugging. Pick ups will be on Friday 16th, with delivery in the hall direct to your stand during Saturday, which means you can turn up bright eyed and bushy tailed to decorate your stand on Sunday or Monday and carry just what you need, rather than those catalogues, dummies, spread and graphics with you. Have a great week and good luck getting ready for London Book Fair. Posted on September 1, 2013 by Daniel Esparraguera and tagged Last minute delivery to London book Fair LBF10 16th April Get ready for London Book Fair London Book Fair. Some of you may remember a blog post I made a few weeks ago asking for the address of cheese shop in Bologna that we had visited before but lost the details of. The very kind people at Batch Services pointed us to “Al Vero Grana” so we headed off to shop for Parmesan only to arrive and find it closed. We took a slow walk back feeling disappointed not to be loaded with large wedges of cheese and bemoaned our collective bad luck to find it closed. Walking along Via Oberdan we came across Al Regno della Forma, a small shop with a window full of wheels of Parmesan from the young (a year old) to the mature (5 years old). There was a reasonable sized line of people waiting to be served and the smell coming out as the door opened and closed was more than enough to entice us in. After looking at the shelves full of date stamped cheeses we plumped for the 36 month old Parmesan and stumbled through a conversation to get some half kilo pieces vacuum packed. Its fair to say I’ve eaten a lot of cheese whilst in Bologna and driving to and from London so the packs are as yet unopened but I don’t think it will be too long before I take a knife to plastic, savour the aroma and flavour. Ruth is our resident designer, customer service contact, stop over and hotel picker, lover of cheese and chocolate. She keeps us all fed and watered in as healthy a way possible and has the ability to be understood in almost any language spoken on the face of the planet without speaking it. Posted on August 31, 2013 by Daniel Esparraguera. This might just help; now if photos on-line had scratch and sniff added to them ……. Posted on August 31, 2013 by Daniel Esparraguera and tagged Bologna Book Fair Caffeine Blues cafe. If you've had to book with another airline following the cancellation of BA flights to Bologna we hope you've managed to find a flight to get you to the show in time. We've had a couple of conversations with people today who have decided to use us rather than check excess baggage with their new carrier because the rate they are being charged is higher. We know that sending last minute material to your stand with people flying out is a culture that runs strong in publishing houses. Sometimes it's the only way you can get it there, however, we suspect most people take it out because this is something they have always done. If what you need to get to your stand is ready on Friday we will pick it up from you office and have on your stand during Monday. No need for you to worry about it carrying it home, through an airport or three, to a cab and on to your stand. Will be very happy to hear that someone else is doing the carrying and your Health and Safety office just might aprove as well. To get started email us thebfv@bookfairvans.co.uk or call 0203 287 4198 and speak with Daniel. Posted on August 31, 2013 by Daniel Esparraguera and tagged Bologna Book Fair Last minute delivery to Bologna Book Fair.